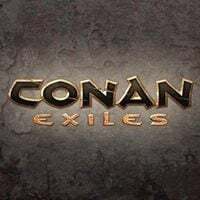 Set in universe of Conan, a sandbox action game with survival features, developed by team at Norwegian Funcom, mostly known from its adventure cycle The Longest Journey and the Age of Conan MMORPG. We play as one of the many outcasts trying to survive in a brutal, hostile world. Conan Exiles for PC, PS4 and XONE features both first and third-person perspective. The player explores a diverse world of an open structure, thus the adventure leads through savannas, deserts, cavernous canyons, picturesque valleys, or the aforementioned ruins. Survival-related aspects constitute the backbone of the experience – although the player begins without any tools, they soon begin to craft their first, simplistic items and weapons. The game's complex crafting system allows the player to create useful items, as well as more and more deadly weapons, but apart from that, one is capable of constructing buildings, which can in turn become parts of large towns or fortresses. Through conquest and enslavement, the player gains different kinds of subordinates, such as warriors, archers or artists. The world of Conan Exiles is not a safe place. Different threats are made up here of unpredictable weather conditions (above all, sand storms), aggressive fauna, and human hostiles: various bandits and the titular exiles – those of the latter kind are worth taking alive, because their hearts can be sacrificed at the altars of gods. The in-game deities can decide to bestow a gift upon the player-controlled character (in the form of a unique ability), which oftentimes influences the course of a fight to a large extent. Combat is real-time here and the player makes use of melee weapons (spears, swords), ranged (bows) and the player-controlled exile's unique abilities. Both the physical and mental states of the protagonist are reflected in the actual gameplay – the player needs to be taking care about their character's health, but also their level of sanity, because exploring mysterious ruins with unknown, dark forces residing in-there, can drive the protagonist insane. Conan Exiles game giude is a compendium of knowledge, enabling you to a successive gameplay. You will learn, for what to look at the beginning of the game, where to find for raw materials, convert them into items and how to fight and conquer.